Is your website optimized for mobile? Discover how to make your pages AMP. Use the Official AMP plugin, tailored to integrate with all the features you love in the Newspaper theme. Firstly, you must access the Newspaper Plugins section, which contains all of the theme’s specific plugins. Then, press the Install button for both the AMP and Mobile Theme plugin. We’ve removed the previous AMP plugin as it was built on the initial launch implementation for AMP. The latest updates for the plugin opened up new possibilities for your website and we’ve made all of them available for you. Now, AMP is integrated into the mobile theme plugin for faster results. You can benefit from all of the functionalities designed for small screens devices on your AMP pages. The mobile theme settings are AMP compatible, while the mobile theme transforms your AMP pages into beautiful layouts. AMP – Uses the responsive version of the theme on small screen devices and Mobile Theme only on AMP. The Mobile Theme plugin is AMP native which means that all the Menus, Search button, Backgrounds, Colors, Excerpts, Ads, Custom code, now work with your AMP pages. You can find all the AMP plugin settings under the Mobile Theme settings from the Theme Panel. Please read our official Mobile Theme Plugin Tutorial to learn how to set all of the above. Speeding up Ads is a great way to boost performance. The Newspaper Theme brings you an intelligent ad system. It also works for AMP advertising, making your ads more visible. Newspaper Theme comes with six spots where you can place ads. See the Mobile Theme settings to configure them. There is also implementation available for Adsense Auto Ads for AMP now. You can now integrate such ads in the AMP ads section right from the Mobile Theme settings. With the AMP implementation, you can track your site traffic even on AMP content. 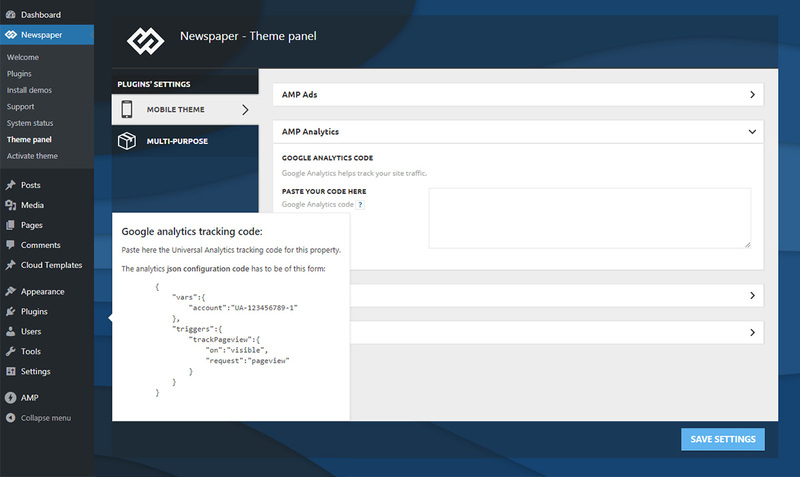 All you have to do is access the Theme Panel > Mobile Theme > AMP Analytics, and paste your Google Analytics code. 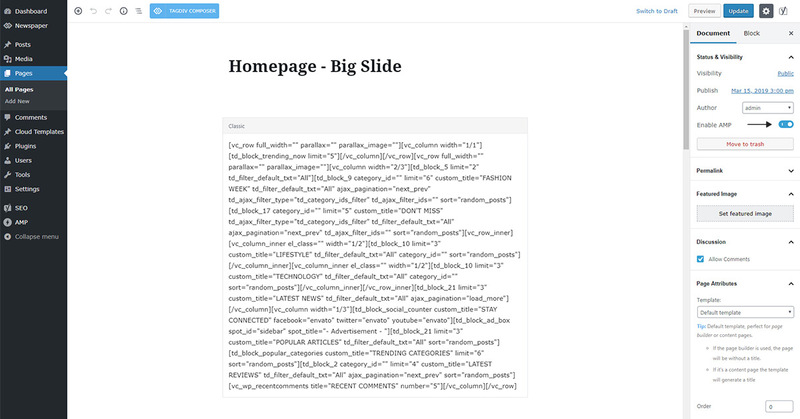 This section allows you to place the AMP Analytics code in the template header so you can track user interactions with AMP pages. Using the SEO best practices and the recommendations of Yoast SEO plugin author, this solution is designed to work seamlessly with the Newspaper theme. You can verify that everything’s working properly, using the browser emulator or the AMP testing tool. In order to see a preview of your amp template, simply add “/?amp” at the end of the URL and the theme will render the AMP preview. When you’re logged in and want to test your AMP pages, you can encounter errors. To avoid any AMP error, we recommend disabling the admin bar for AMP pages from the official plugin settings. The tools enhance the capabilities of your website to give you a new definition of performance. Mobile pages should be light and fast! This way, they can keep the reader engaged and maintain return visits into favorable values. You can get a higher rank in Google search with the AMP pages and quality content. Thanks to the instant loading, the time spent on page increases, as well as the CTRs, and the bounce rates drop consistently. Hi, I am trying to setup AMP on our website that is https://www.howtocrazy.comI have filled all settings in AMP panel under theme panel. Whats next? I am not getting any page in AMP. We are happy to discover your site built upon the Newspaper them. 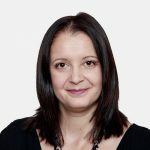 For technical assistance, please open a new ticket on our dedicated support area here https://forum.tagdiv.com/forum/newspaper/. Thank you for understanding! Thanks for making me understand this theme. We are glad to hear this, thank you! We are doing our best to deliver useful information to you :). Hi, thanks for the good post. I have used your Newspaper theme and enable the “AMP” plugins. But, I have 2 issues. 1. Main Menu does not appear in my AMP Pages/Post. The above mentioned are the two errors I got. Could you please help me? Thank you for reaching out to us! Please include this message and open a new topic on our forum at https://forum.tagdiv.com/forum/newspaper/ and our support team will gladly help you :). Thank you for understanding. I use newsmag theme on my blog but once i activate tagdiv amp, how do i get rid of the footer? Thank you for reaching out to us! From the Theme Panel, you have to disable your footer from desktop and it won’t be showed in the AMP version. If you have more questions, please contact our support team at https://forum.tagdiv.com/forum/newsmag/ or via email at contact@tagdiv.com. Thank you for understanding! But the hamburger menu not show up, how to fix this? Please include this message into a new email via contact@tagdiv.com or open a new topic on forum.tagdiv.com to get technical assistance from our support team. Our blog is not assigned to the Customer Support Center. Thank you for understanding! Currently our AMP plugin does not feature a menu. This might be added in the future, I cannot say for sure at the moment. Sorry for any inconvenience. Hello, I’m testing the new amp system with the mobile theme, but the amp pages on our site do not look as expected. Your site does not allow AMP to be disabled. There should’t be any problem in the matter, both the AMP and the mobile theme plugins have to be active as a first step. Then the option to integrate them has to be active in the Theme panel->Mobile theme section as mentioned in the guide. If you followed these steps and there are problems, please send us an email at contact@tagdiv.com and provide admin login so we can begin an investigation. Are these settings redirecting AMP page to mobile pages? Is this possible to shows on AMP pages? The guide explains how you can integrate the mobile theme plugin with the official AMP plugin. When both plugins are active and the mentioned setting is enabled in the theme panel mobile theme settings, AMP will be active permanently. If you have more questions or issues, please create a new topic in the theme forum, or send us an email at contact@tagdiv.com and we will gladly help. I tested the theme on a computer. If you go to https://localhost/news/article/3/amp/ from a mobile phone, we get 302 redirect to https://localhost/news/article/3/ If you go to the page from the computer, then everything is OK, we will see the amp version https://localhost/news/article/3/amp/ When I have time, I will record a screencast. Took to check the first website of the newspaper 9.6. The behavior is similar. Recorded screencast https://youtu.be/RFjYl-r2RRA Amp page starts to appear normally only after visiting the page from the desktop. Hm… Maybe it has something to do with the formation of the cache. If there are problems on your end, you can send us an email at contact@tagdiv.com and mention them in detail. We will make tests on our end. Thanks for updating AMP in 9.6.1. It is really easy to use theme. Is AMP Native means NO AMP? In case I misunderstand or you have more questions, please send us an email at contact@tagdiv.com and mention as many details as possible. Let us know. Unfortunately disqus is not officially tested with the theme, so there may be issues when using a disqus plugin or code implementation. The mobile theme uses files of it’s own, the mobile version is different from the desktop version basically. If you have more questions please create a new topic in the forum or send us an email at contact@tagdiv.com. I’m having difficulties showing amp ads on this new update. Any help? If you are using AMP auto ads you can enter the provided code in the Theme panel->Mobile theme->AMP ads. Like this https://www.screencast.com/t/vW818uue0 -> https://www.screencast.com/t/A89E9Z13z5 they should appear after a while. In case there is a problem, please let us know. Create a new topic in the theme forum or send us an email at contact@tagdiv.com and mention as many details as possible about it. My amp ads are showing without me entering the amp auto ads code, don’t really know if that’s possible. However, I don’t know where to enter the code for page-level ads in the mobile theme. If ads appear on mobile then they must be coming from somewhere. Maybe you entered ad codes in the mobile theme ads section. If you want us to take a look, please send us an email at contact@tagdiv.com and provide admin login. From what I know page level ads were replaced by auto ads, for auto ads there is now a dedicated field in the theme panel mobile theme section (when the mobile theme is enabled for AMP). Please send us an email at contact@tagdiv.com and provide details about the issue. Also provide admin login so we can investigate what and why this could be happening. Hi there is a great way to work. But there is a serious problem … activating the function from the settings and following the guide, the site works very badly and does not get well at all. If there is a problem with the new AMP implementation in your case, we could take a look. Please send us an email at contact@tagdiv.com and provide admin login. Mention as many details about it as possible. Do i just copy an paste the Analytics code as seen above in the picture then replace it with my analytics number? The analytics code has to be entered as mentioned in the guide. The code must have the form presented there, all that it would require is that you enter your own tracking ID in it. 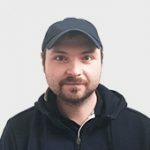 Why we use Yoast SEO plugin? ANy chance to get support this plugin? We recommend the Yoast SEO plugin, we only tested this plugin with the theme up to this point. However it is not required that you use this plugin exactly, if you have found a different SEO plugin that has the options you need and works properly, then you can use that one. From what I know there aren’t any plans to begin testing with the SEO plugin you mention, for the moment. Hey dear me also Facing same problem, but after disabled the tag dive mobile theme plugin, my site now going fine. I think tag dive team need to fix some issues in amp mobile theme plugin. In amp theme thare is no option to disable amp on specific page. I don’t want my home page amp. Please Tag dive team retake your plugin and resolve the bugs. The option to disable AMP per page will not be available if the mobile theme is activated and enabled for AMP in the theme panel. Only if the mobile theme is not enabled for AMP will that be possible. It is not an actual issue, this is intended. The homepage will be the mobile homepage, same as it was before when using the mobile theme plugin. If you have encountered errors or issues with the AMP and Mobile theme functionality please send us an email at contact@tagdiv.com and mention as many details as possible about them. We will try to recreate them on our end. Let us know. The guide mentions the needed steps to take if you want to use the AMP + mobile theme implementation. Install the AMP plugin, install the mobile theme plugin, then activate them both. The next step is to activate the mobile theme for AMP, in the theme panel https://www.screencast.com/t/kV9tReVOKx If these steps are respected there would be no problem. In case there is a problem in your case, please send us an email at contact@tagdiv.com and provide admin login so we can take a look. Mention as many details as possible about each problem. Let us know. Great to hear that! 🙂 Good luck with your project! I recently installed the mobile theme. However, my adsense page – level ads which used to show are not showing anymore on the mobile theme. What might be wrong? If my reply from above doesn’t help with the problems you are having, please send us an email at contact@tagdiv.com and specify some more details about them. We will try to help as best we can. The mobile theme has it’s own ad sections in the theme panel. Ads you implemented on desktop will not who on mobile when the mobile theme is active. Please check in the theme panel mobile theme section, place the ad codes for mobile there. If you have activated the mobile theme for AMP as mentioned in the guide, there will be a spot for the auto ads code. The AMP plugin screws up my desktop site layout! Hello, I followed your guidance, but when I activate the AMP plugin, this screws up the layout of my desktop site. How can I resolve? Do you have any workaround? Are you aware of this problem? 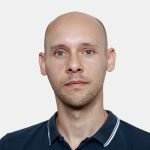 So you only want to use the AMP plugin and not the mobile theme? Then please be sure to use the “classic” option in the AMP settings https://www.screencast.com/t/TWR2lBgh if you want to integrate AMP with the mobile theme, please follow the guide. I am experiencing the Same kind of problem. I have activated the Mobile Theme plugin and then the AMP Plugin. Made all the Configuration mentioned. But desktop site is completely broken. When I disabled the AMP plugin but the Mobile theme is active, there is No problem. But with activating the AMP plugin desktop site breaks. We could take a look, please send us an email at contact@tagdiv.com and provide admin login. Mention the details about the issue and we will check. Let us know. I have not enabled auto ads on AMP pages but turned ON mobile theme for AMP pages, will ads still show on my AMP pages? When you enable the mobile theme on AMP, the AMP auto ads code can be entered in the theme panel https://www.screencast.com/t/OmDlrxSOT please enter the code there and check after a while to see if the ads appear. I’m encountering some issues with activating and configuring AMP on my site. 1- going on the plugins page of the theme “Journal” has the AMP plugin called “TagDiv AMP”, more accessing the theme document, and seeing all the step by step the image that appears and an AMP plugin called “Official AMP for WP “which to me seems to be two different plugins. 1. 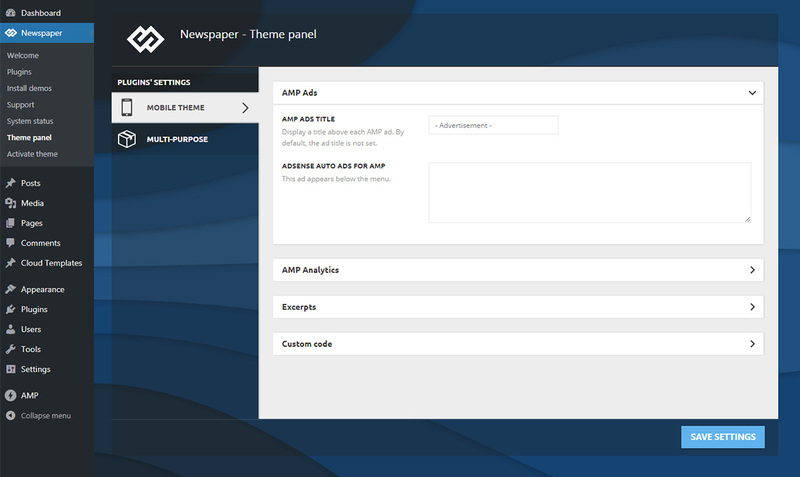 Starting from theme version 9.6 the official AMP plugin can be used together with the mobile theme plugin. 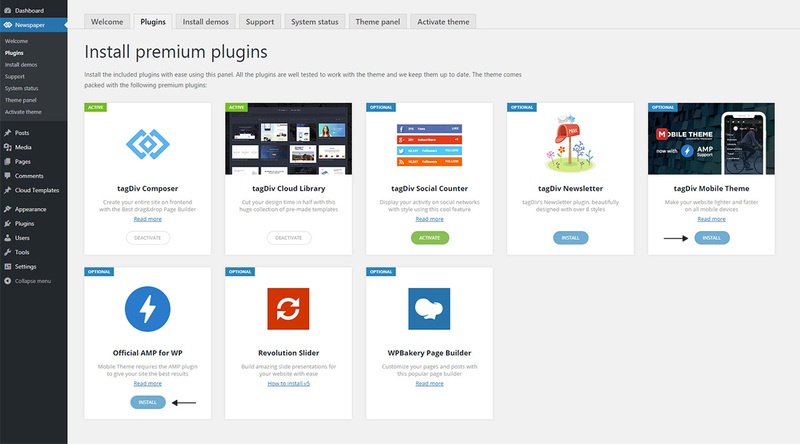 You can install them both from the theme plugins panel https://www.screencast.com/t/QuxlznxOujjB The TagDiv AMP plugin is not available anymore, it was used in theme versions up to 9.6. In case you have more questions, please create a new topic in the theme forum, or send us an email at contact@tagdiv.com and we will help you. then the page successfully displays an AMP page. Please advise as to how this can be fixed as even though the AMP pages are there no search engine is going to be able to find them without the correct URL structure. You seem to be using an older theme version and the previous TD-AMP plugin. That should still work properly. 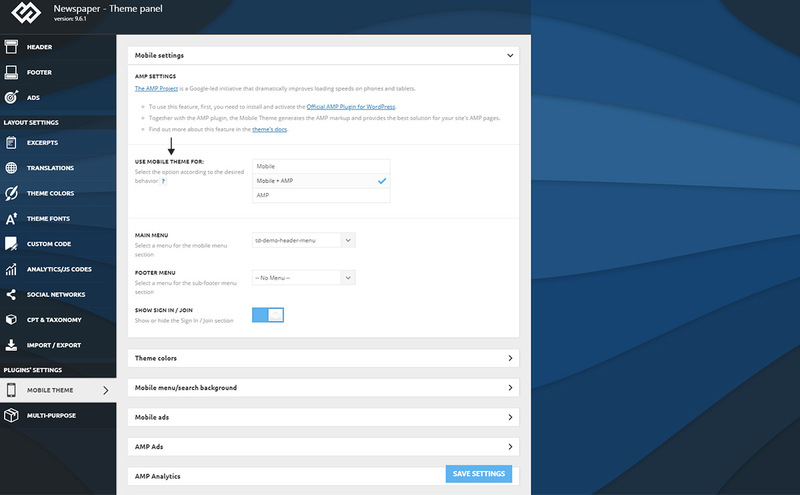 Try re-saving the permalinks in the WordPress settings, then check again. If the same is happening, please send us an email at contact@tagdiv.com and provide admin login, we will take a look. Here shorcode not displaying as I implement in function. Does the shortcode work in the normal non-AMP post (desktop version)? Are you using the mobile theme and AMP implementation provided by the theme? I tried a contact form shortcode as a test, seems to display in the mobile theme and AMP version. If you have more questions, please create a new topic in the forum or send us an email at contact@tagdiv.com. Currently that is not possible, when the mobile theme and AMP are active they will apply to the whole website. There will be an update coming however, and an option will be added to choose if you want to disable AMP for specific posts or pages. The update will be available as soon as possible. Could be insufficient resources, or something in the server configuration. If you want us to take a look, please send us an email at contact@tagdiv.com and allow us admin access, also provide cPanel access if possible and as many details as possible about the problem. Let us know. We’re glad to hear this! Thank you for the kind words :). Sir Im activate AMP but its shows “Native mode activated! However, there was an error when checking the AMP validity for your site. Internal Server Error” How i fix its ? We could take a look, please send us an email at contact@tagdiv.com and provide a link to your website and admin access. Unfortunately, the Blog is not assigned to the Customer Support Center. You can also create new topics in the theme forum. If you don’t already have an account on the forum, please create one (it takes about 1 minute). Okay sir.. but when i am activate tagdiv official mobile theme and Official AMP it not work and in the mobile mode the website not access whereas in desktop mode website is access. AND when i am delete the official AMP plugin then the website access mobile mode otherwise not . “Www.shayarix.in currently unable to handle this request ” please solve my problem sir. THANK U ! To help you, we need your collaboration. 🙂 Please open a new topic on the Support Center and provide all the details. Our support team is ready to assist you. Unfortunately, the blog is not assigned to the support team and it takes longer to receive help here. But whats the issue why mobile theme and amp not work togather in my website. I used version 9.6 of newspaper theme. And mobile theme n Amp support in 9.6 version… but in my website its not support . Tell me some solution. In case there is a problem, please send us an email at contact@tagdiv.com and mention more details about it. Also provide your website and admin login so we can investigate if needed. Let us know. I’m trying to set AMP on my website http://www.androidtutorial.net but i have a question. I have already activated a wordpress plugin for AMP pages. Now my question do i need to shift fully on your AMP template? Thank you for the appreciation, we will try to improve the AMP and mobile theme integration in future updates, also more options and settings will be added. So, even though I had thought I set the mobile theme settings to Mobile only, it appears that /amp URLs were still being generated and indexed. I don’t necessarily want to use AMP, per se, but if the Newspaper mobile theme is going to assist with mobile page load speeds, I’d like to use it. Is the Newspaper just an AMP skin, or can it truly be used without the AMP plugin being enabled? I can’t find much information about it, so any clarification you could provide would be appreciated. That should not happen. If the mobile option is selected in the mobile theme settings, there will be no link to an AMP page to be indexed, in the page source. Maybe you had AMP active before, it may take a while for Google to see that AMP is not available anymore. The mobile theme will noticeably improve the loading speed on mobiles, it will display a much simplified version of the website, using predefined templates. It’s part of the theme package for a long time, I believe even before AMP was released. It can be used by itself (this was the case until a few updates ago), or together with the official AMP plugin. If you have more questions please let us know, you can always create a new topic in the forum, or send us an email at contact@tagdiv.com. 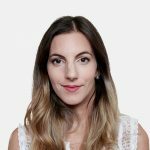 Should I delete other amp plugin from my site? What will be the page look like with tagdiv’s amp plugin.. same as non amp? The previous dedicated AMP plugin we provided cannot be used anymore with the theme, it is not included in the theme package anymore. You can delete it. Using the new AMP solution we provide, The AMP version will look exactly like the mobile theme. If you have more questions you can always create a new topic in the theme forum or send us an email at contact@tagdiv.com. Some more details about the problem would be very helpful. You can send us an email at contact@tagdiv.com and provide a link to the website so we can take a look. Let us know. If you want to use the mobile theme and official AMP plugin, all there is to it is to follow the guide. Using the mobile theme there will be a noticeable improvement in terms of page speed on mobile. AMP is also widely used these days. Previously we provided a dedicated AMP plugin, but now the official up to date AMP plugin can be used, together with the mobile theme. If you have more questions or you need help, please create a new topic in the theme forum or send us an email at contact@tagdiv.com and we will gladly help. Let us know. Thanks for launching AMP Plugin in the theme.